First comes love, then comes marriage, then comes a baby to spoil! My sister-in-law is due in December and I can’t wait to meet my new niece. Until then, we have been showering the momma-to-be with affection, and threw her a baby shower I hosted alongside my mother-in-law and soon-to-be-sister-in-law. 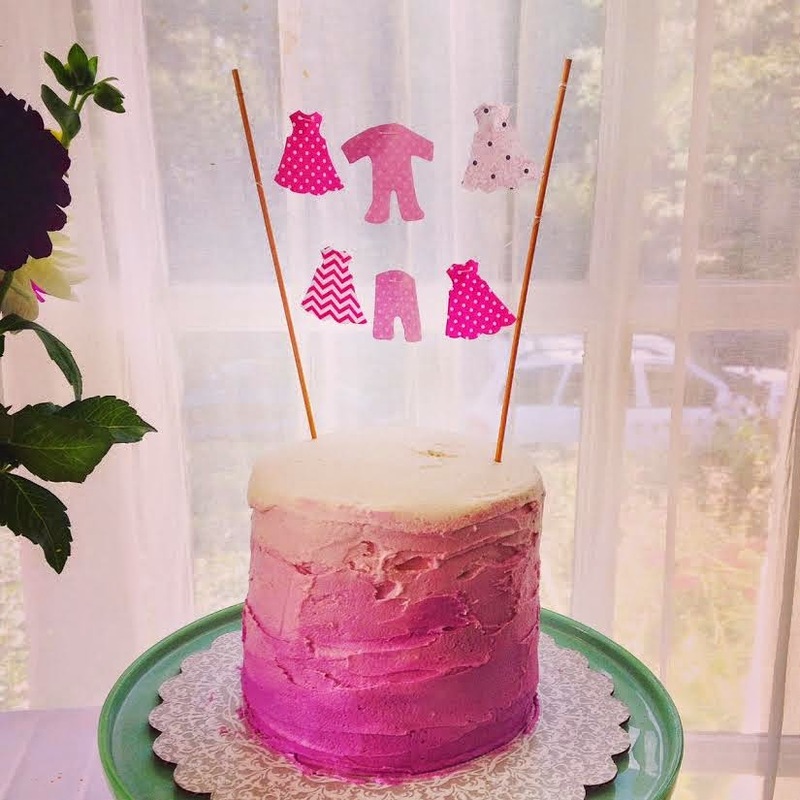 We went with a tea party theme smothered in pink for our sweet baby girl. This was the most organized baby shower ever. We had spreadsheets, conference calls, and clearly divided responsibilities. We don’t mess around. 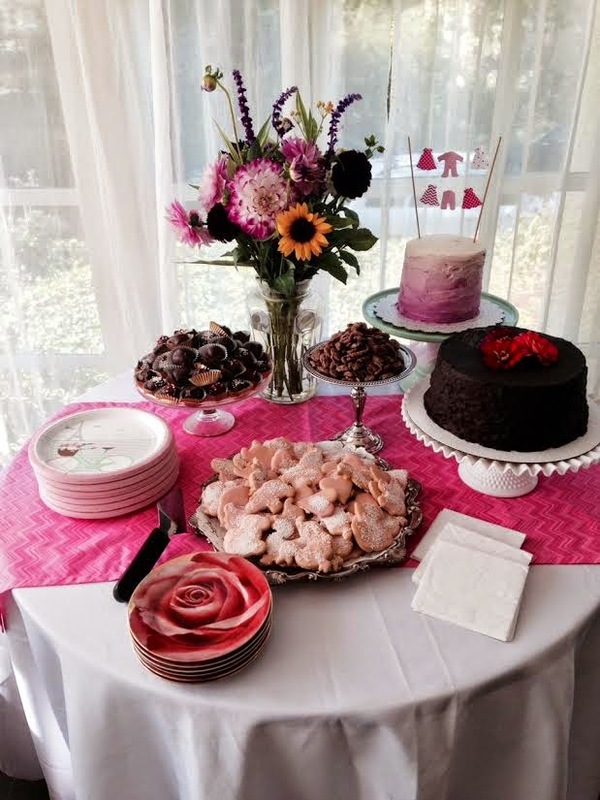 I provided the house and organized the food along with my SIL, and my MIL handled the desserts and decorations (which were out of control… just look at that ombre cake). 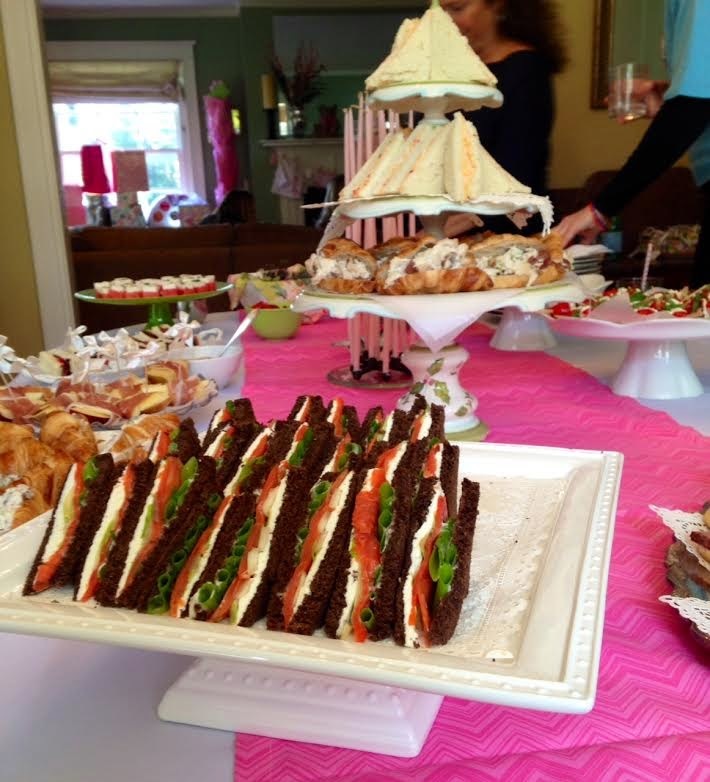 Our tea party themed baby shower went off without a hitch! 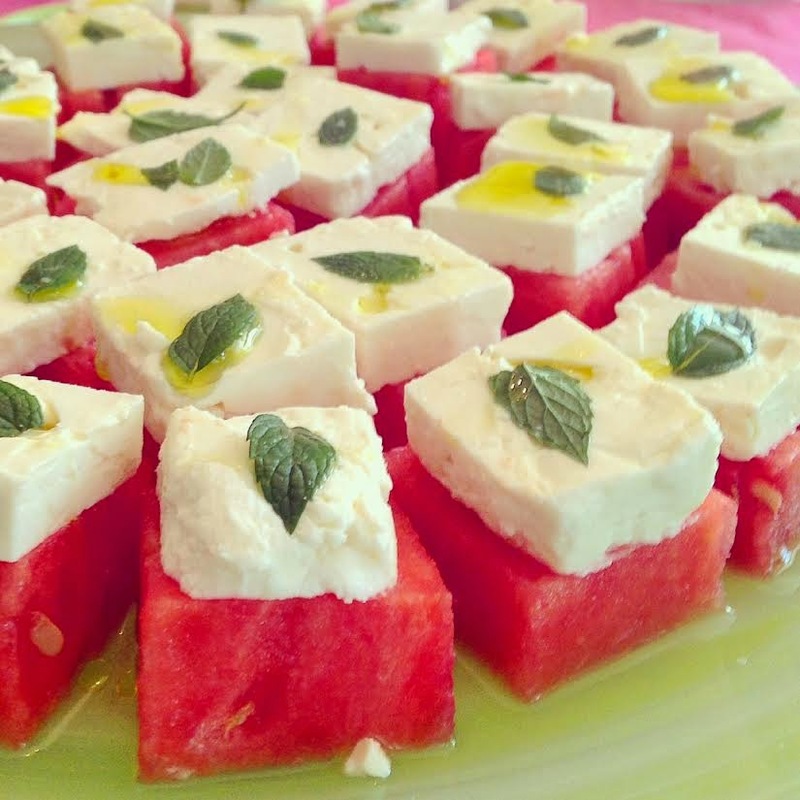 One of the most popular bite- sized nibbles were these beautiful Feta Watermelon Bites (pictured above) doused with olive oil, fresh mint, and a dash of sea salt. They are wonderfully easy and perfect for any party, especially one exploding with pink. Feta Watermelon Bites were inspired by a watermelon salad in Food & Wine Magazine. Usually tossed and served in a large bowl, I thought it would be attractive made into bite-sized pieces to serve alongside tea sandwiches and other nibbles. They were simply stunning on the table. Make your life easier and purchase already skinned and halved watermelon to cube into perfect squares. This can usually be found near the fruit salad in the produce section of your grocery store. On a large platter, lay out cubed watermelon in a circular pattern. Top each piece of watermelon with a slice of feta cheese roughly the same diameter as your watermelon cubes (this isn't rocket science). Place one mint leaf on top of each feta and watermelon square. Just before serving, drizzle with olive oil and a pinch of salt. These feta bites would be a hit at any party! The cake looks so cool!